I originally created this layout for a different site, but the site never opened. 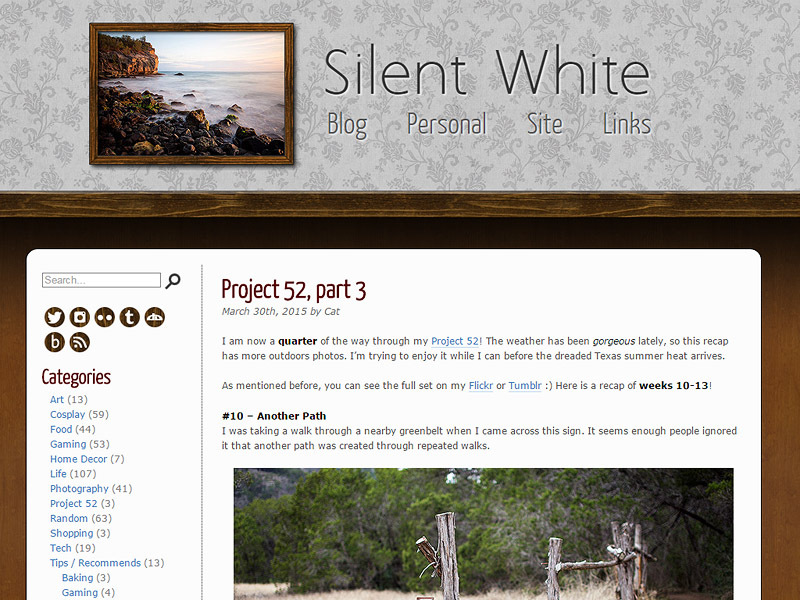 I decided to reuse the layout and alter it for Silent White. I wanted it to look like a wallpapered wall with a photo hung up. The photo inside the wooden frame picks from a random set of 8 photos, all taken by me.